We don’t just pray on a Sunday morning! There are times during the Sunday service when God highlights a deeper need for inner healing of wounds and hurts from the past, and we realise that some additional prayer support to work these things through would be helpful. 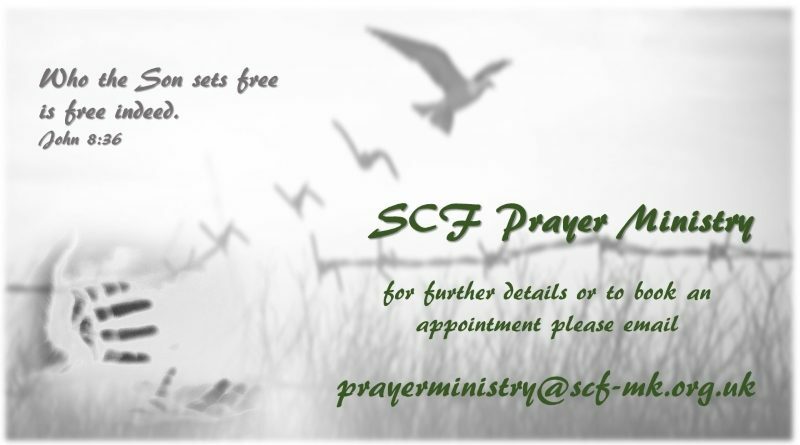 SCF now has a friendly team of dedicated people who are available to pray with you in complete confidence and by appointment at other times during the week. If you would like someone from our team to pray with you, please email us at prayerministry@scf-mk.org.uk and someone will get in touch with you to arrange an appointment.